“Technology coaches create and support effective digital age learning environments to maximize the learning of all students” (ISTE 2011). c. Coach teachers in and model use of online and blended learning, digital content and collaborative learning networks to support and extend student learning as well as expand opportunities and choices for online professional development for teachers and administrators. (ISTE 2011). A successful school technology program incorporates “online and blended learning, digital content and collaborative learning networks to support and extend student learning as well as expand opportunities and choices for online professional development for teachers and administrators” (ISTE 2011). Technology coaches can support this effort by designing engaging eLearning experiences for students, faculty and administrators (ISTE 2011). In my own professional learning experiences, and during my coursework in the Seattle Pacific University Digital Education Leadership Master’s Degree program, I have experienced a number of eLearning platforms as a “student”. As a classroom teacher and Technology Integration Specialist at my school, I used some of these same eLearning platforms to design engaging learning experiences for students and teachers. Our Edublogs CampusPress network of class and student blogs in K-8 allowed for seamless integration of online and blended learning and digital content, as well as provided the opportunity for collaborative learning. In grades 6-8, the Google Classroom platform enabled teachers to co-teach courses, and to engage students in collaborative learning experiences. I successfully advocated for professional learning sessions where teachers could engage in hands-on experiences with classroom technologies, trying on both teacher and student roles. These sessions resulted in teachers becoming more comfortable with eLearning tools and strategies and even planning for near-future use. I created a professional learning blog so that teachers could access artifacts from our learning experiences, as well as links to support and extend their learning. You can read more about my experience in my blog post: “Creating & Supporting Digital Age Learning Environments”. 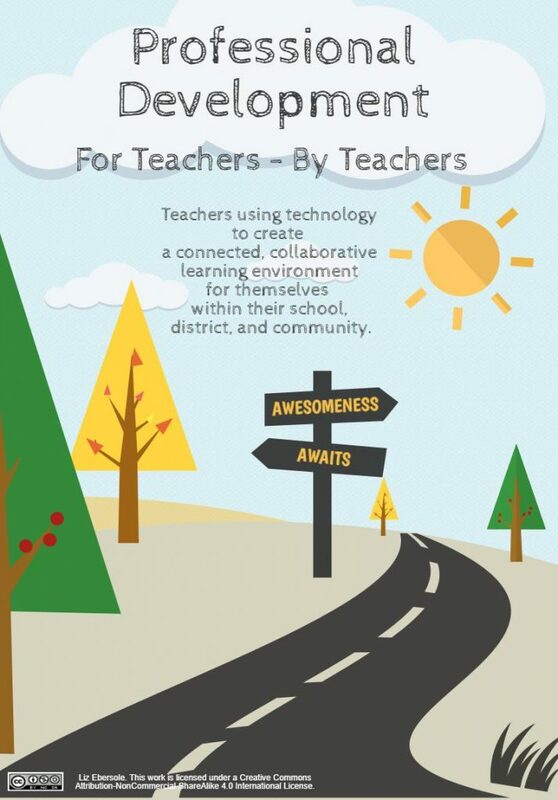 Technology coaches contribute to a technology-enhanced learning environment by “coach[ing] teachers in and model[ing] use of online and blended learning, digital content and collaborative learning networks”(ISTE 2011).